Tiger will be seen next on screen in "Student of the Year 2", in which, it was reported that the actor has put a no-kissing clause. Bollywood stars Disha Patani and Hrithik Roshan were said to be collaborating for a project and later a rumour surfaced that the MS Dhoni star walked out of the project. 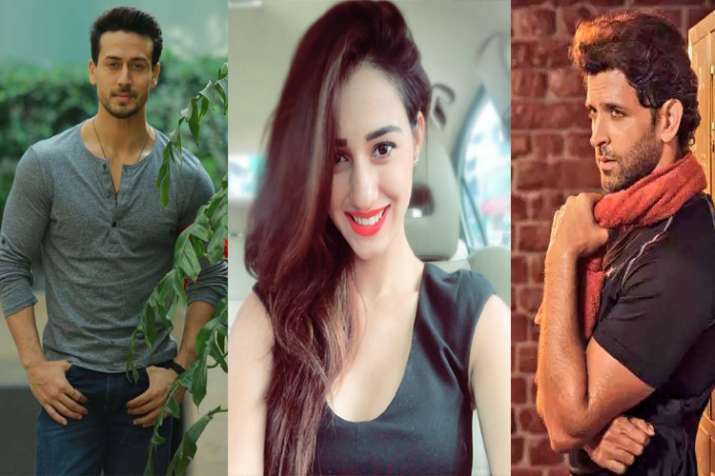 Tiger has said the reports of his rumoured girlfriend Disha Patani walking out of a project because Hrithik Roshan flirted with her were extremely "silly" and there is no truth to that. There were reports that Disha walked out of Hrithik and Tiger's next film as the former allegedly flirted with her. The "Baaghi 2" actor said it was too early to speculate whether Hrithik and he would have a dance-off in their untitled movie backed by Yash Raj Films. "It has been my life long dream to work with him. He's everything for me. I look up to him as an actor, human being. I am his big fan. I'll get to learn a lot from him. We begin shooting from October," he added. At the event, he also brushed aside rumours that he will be collaborating with Sanjay Leela Bhansali and said the filmmaker was "kind enough" to meet him for a courtesy meeting. When asked about it, the actor said, "It's just a rumour. If you've seen any of my films (you'd know). Not that I have deliberately done it (kiss) but every one of my films has had a kiss. If the story demands, I don't have a problem. As actors we have to be open things. Previous StoryThis is what Kareena Kapoor Khan has to say on second baby plan after Taimur Next StoryKaran Johar speaks up on trolls targeting Priyanka Chopra-Nick Jonas’ age gap!